Nelson Ireson June 17, 2013 Comment Now! 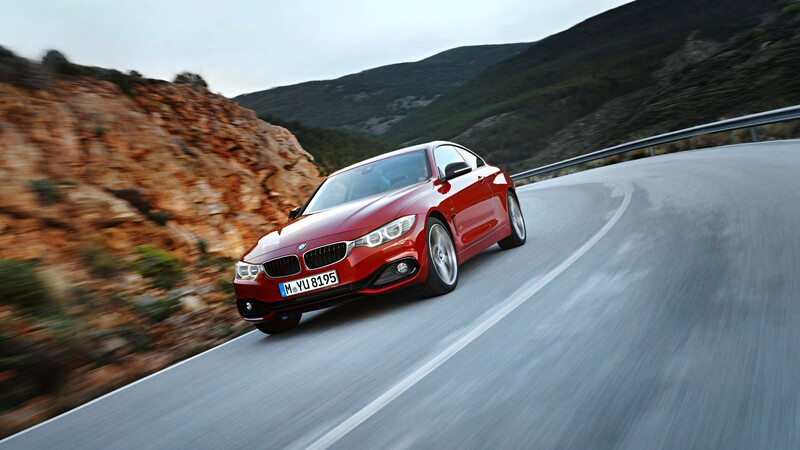 So, you've been longing for a 3-Series-sized car, but with fewer doors and a touch more style in its design? 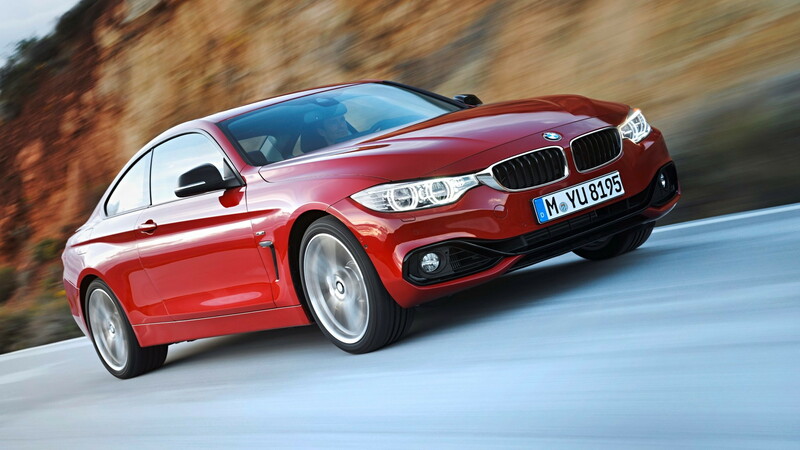 BMW has your new slice of the pie: the 2014 4-Series Coupe. Replacing the 3-Series Coupe, but growing slightly in length and width while going lower to the ground (and lower in its center of gravity) the new 4-Series Coupe promises to offer design-driven buyers a new niche for their garages. Available in 428i form with a 2.0-liter turbocharged four-cylinder or 435i form with a 3.0-liter turbocharged in-line six-cylinder, the 4-Series Coupe comes standard with rear-wheel drive and a six-speed manual transmission. 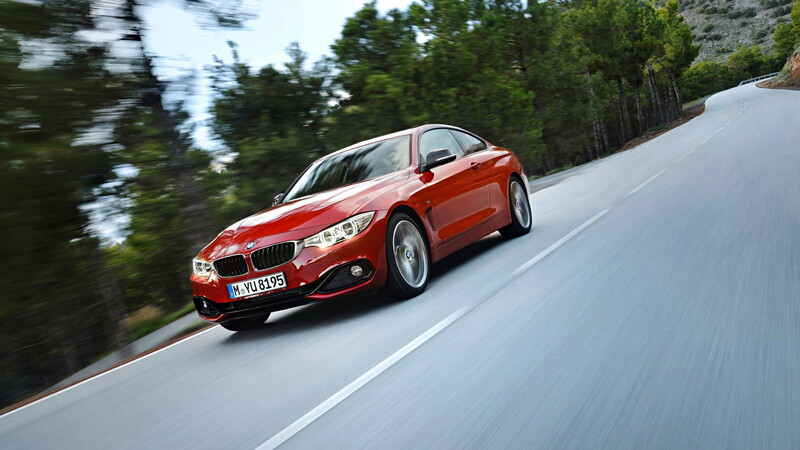 All-wheel drive and an eight-speed automatic transmission are optionally available. The 435i's 300-horspeower and 300 pound-feet of torque get it to 60 mph in 5.3 seconds with the manual or 5.0 seconds with the eight-speed auto, and on to a top speed limited to 155 mph. For the 428i, 240 horses and 255 pound-feet of torque manage the 0-60 sprint in 5.7 seconds (BMW doesn't differentiate between transmissions for the 428i) and on to the same 155 mph limited top speed. 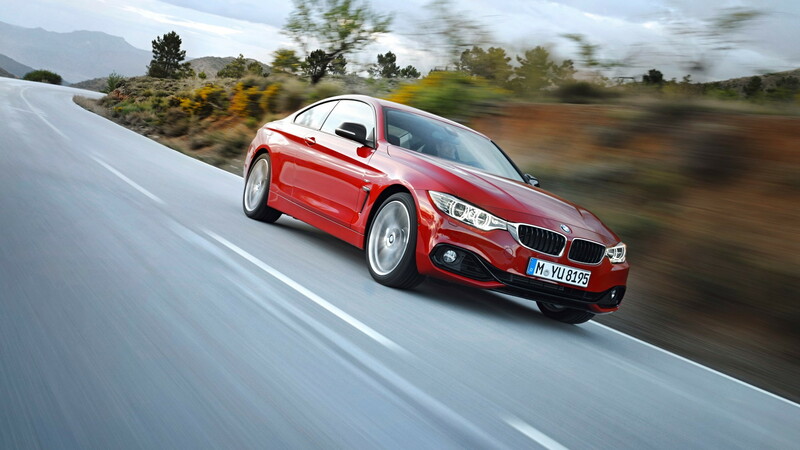 While the vast majority of the 4-Series' underpinnings are shared very closely with the F30 3-Series sedan, there's at least one unique element to the new coupe's makeup: the center of gravity has been lowered via a lower suspension setup, bringing it down under 20 inches from the ground, the lowest center of gravity of any BMW car currently built. Otherwise, you'll find the 4-Series Coupe available in a choice of trim lines (Luxury or Sport), plus the optional M Sport package. LED High Beam Assistant is available, as is BMW Active Cruise Control with Stop & Go. A new generation of BMW's navigation system, plus a full-color HUD, and a range of other safety and driving assistant technologies will also be offered. 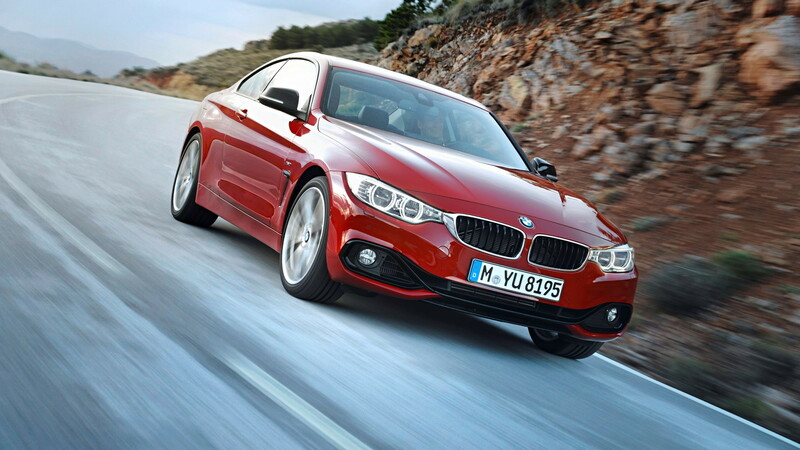 The 2014 BMW 4-Series Coupes will begin arriving at U.S. dealerships late in the summer.